Jessica Goch is an American model, gamer, social media influencer, and talent manager. She is popular for her live stream of Halo, a military science fiction first-person shooter game on Twitch. However, the talent manager is also famous for being the wife and manager of popular Twitch streamer, Richard Tyler Blevins, who is known mostly as “Ninja.” The couple’s life seems exactly like a fairy tale where the husband and wife end up conquering the world together. Beyond being the wife of one of the world’s most famous gamer, there is more about this beautiful lady that would definitely be of interest to you. Learn more about her below. Jessica Goch wasn’t born into fame and her parents are not popular in any way. Her mother is Darcy Goch, and she divorced Jessica’s father a few years ago. Darcy recently got remarried, meaning that Jessica now has a stepfather. Jessica Goch was born in Schofield, Wisconsin, on June 23, 1992. She was raised alongside her elder brother Joshua Goch. Jessica attended high school at Wausau West High School, a public school in her hometown. After graduating from high school in 2010, she went on to apply for college at the University of Wisconsin. Jessica got into the University of Wisconsin, where she studied interpersonal communication and human resource management. She graduated and received her B.A from the University of Wisconsin in 2014. Jessica Goch’s gaming lifestyle didn’t start when she met her husband as most people think. Her gaming culture started back when she was still a little girl. Her love for video games was largely influenced by her elder brother Joshua. The two siblings are the only kids of their parents, and Joshua was the first child and a game lover who did not have a little brother to play his video games with; he turned to his kid sister to play that role. They both started playing video games together and Joshua’s love for video games rubbed off on Jessica. She then grew up with an enthusiasm for video games. Back then, her favorite game was “Super Mario.” She also liked playing “Mortal Kombat,” “Pokemon,” and “Sonic”. In college, Jessica continued to play video games and went on to attend several gaming tournaments but never did compete. As a freshman in college, Jessica’s ex-boyfriend invited her to attend a gaming event at the Focus Fire in La Crosse, Wisconsin, in 2010. It was at the gaming event that she first met her future husband, Tyler Blevins. Tyler who was at that time attending Silver Lake College was competing at the event and also had a girlfriend then, so he and Jessica couldn’t date. After a couple of years, Tyler sent Jessica a birthday message and from there, they reconnected and started exchanging tweets and following each other on Twitter. At the time, Tyler had also severed his relationship with his girlfriend. The two finally started dating in August 2013. After dating for about four years, the couple exchanged marital vows in August 2017, at Lehmann Mansion, in Lake Villa, Illinois. 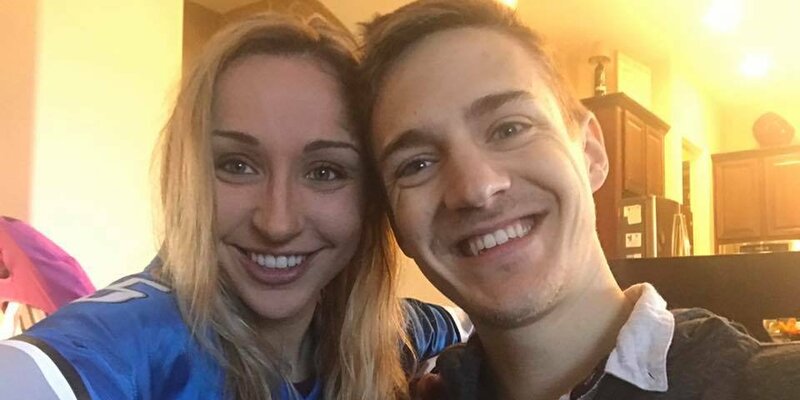 Jessica’s husband Tyler Blevins is a professional gamer and Twitch live streamer who is best known by his online alias “Ninja.” He is a prominent figure on video sharing platforms such as Twitch, where he has massive followers of over 13 million, as well as YouTube. Blevins was born on June 5, 1991, in Detroit, Michigan and has been playing games professionally since 2009. Notably, he featured the famous Canadian rapper Drake on his live stream in 2018. The stream, however, garnered over half a million live views and it was one of the highest views recorded on Twitch in 2018. Prior to their marriage, Ninja’s wife Jessica Goch, who is also a Twitch streamer, became his manager in 2016. While Ninja is busy tapping the pads, Jessica takes care of his other affairs including receiving calls, securing endorsements, and sponsorship deals from popular companies. Her financial value might not be comparable to that of her hubby but she also makes quite a lot for herself. She is rumored to be earning between $75,000 – $250,000 annually, from salary as being Ninja’s manager, as well as other earnings from streaming on Twitch, among other platforms. Her net worth is estimated at $2 million. Jessica Goch has a huge fan base on social media. 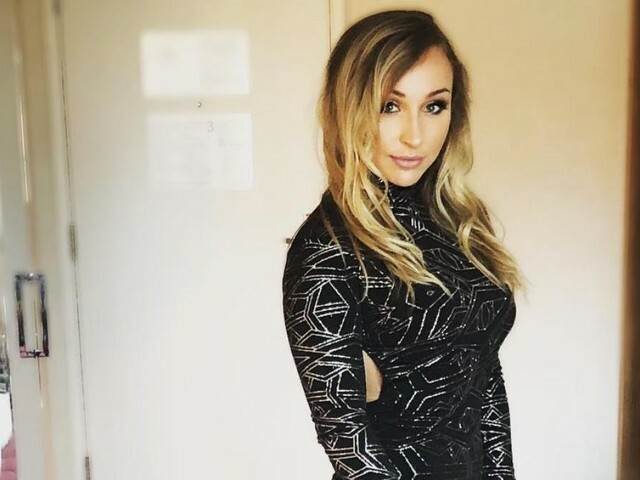 Her Instagram handle is @jessghosty, and she has over 1.3 million followers; while on Twitter, she goes by @JGhosty and currently has over 600 thousand followers. In addition, she has over 255 thousand subscribers on her YouTube channel JGhosty and her videos have recorded over 1.9 million views.